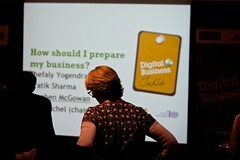 Description: Held at Sadler’s Wells London, these two one day conferences were for UK digital media businesses and entrepreneurs wanting to learn about how to expand into India/China. Panelists included: Iain Dale (founder 18DoughtyStreet), David Dunkley Gyimah (View Magazine), Andy Porter (Hi8us) and Emily Renshaw Smith (Current TV). What do we gain from video games? Organised these sponsored awards, including the annual award ceremony from 2002-2007. Ceremonies were for circa 150-250 attendees, held in venues such as the Serpentine Gallery Pavillion, Dali Gallery and Fabric and included drinks receptions. Keynote speakers included: David Miliband MP, Charles Clarke MP and Peter Hain MP. 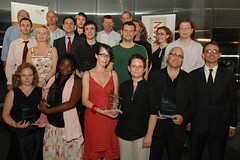 Organised these sponsored awards, including the annual award ceremony from 2004-2007. Ceremonies were for circa 150-250 attendees, held in venues such as the Dali Gallery and St James’ Palace and included drinks receptions.